Please provide additional information and your download will be immediately available. 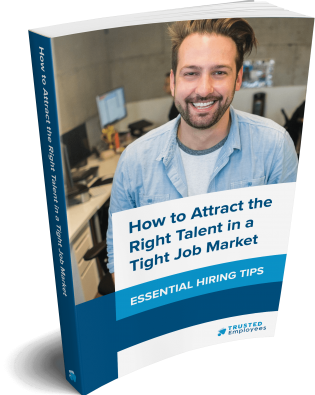 Whether you’re hiring an office worker, cook, line worker, developer, or doctor, there are three things the best companies are doing to attract talent. By imitating them, you can get the right people in the right positions faster. In this ebook, we’ll discuss company culture, recruiting techniques, and compensation packages, and share the perspective of SMBs, like yours, that are successfully imitating the job market’s major players. Running employment background checks is a necessary, but sometimes complicated, step in the hiring process. Helping businesses stay compliant and find talent that keeps them moving toward their goals has been our mission for the past 20 years.